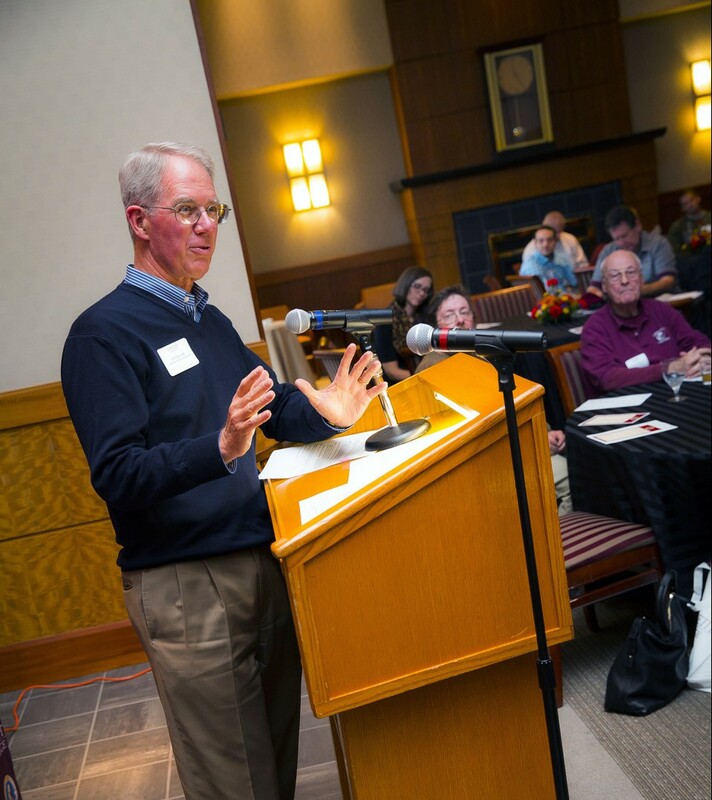 Alumni, alumni groups, a faculty member, and a current student were recognized at the annual Alumni Awards Ceremony and Summit Oct. 3 in Pfenning Alumni Center. Alex Karapetian, '04, president of the Alumni Association, hangs out with Michael Weisburger ’82 and Jenny Marshall Weisburger ’82, recipients of the Woodring Volunteer of the Year Award. Alex Karapetian, '04, president of the Alumni Association, and President Alison Byerly present the Kidd Award to Ray Moyer ’63. 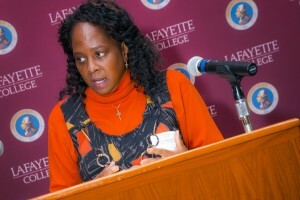 Alma Scott-Buczak ’74 received the Bell Award. Carol Rowlands, assistant vice president for enrollment management, presents the Barry McCarty Award to Gregory Slonaker ’79. 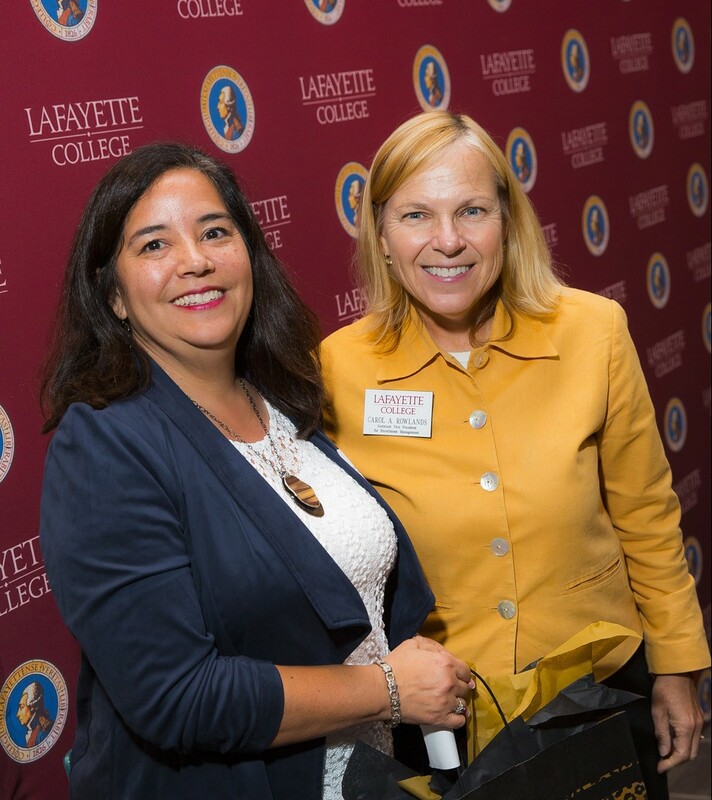 Louise Seto Coles ’81 received the AAR Geographic Outreach Award from Carol Rowlands, assistant vice president for enrollment management. 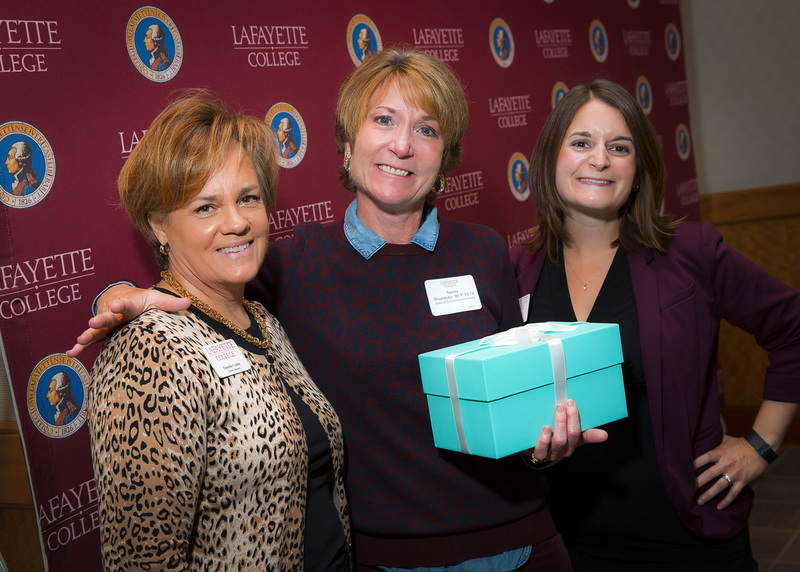 Nancy Keller Shumeyko ’80 received an Externship Commitment Award from Nanette Cooley, interim director of Career Services, and Melissa Schultz, associate director of Career Services. Michael McDonough ’79, who received the Gagnon Award, with Melissa Schultz, associate director of Career Services, and Nanette Cooley, interim director of Career Services. 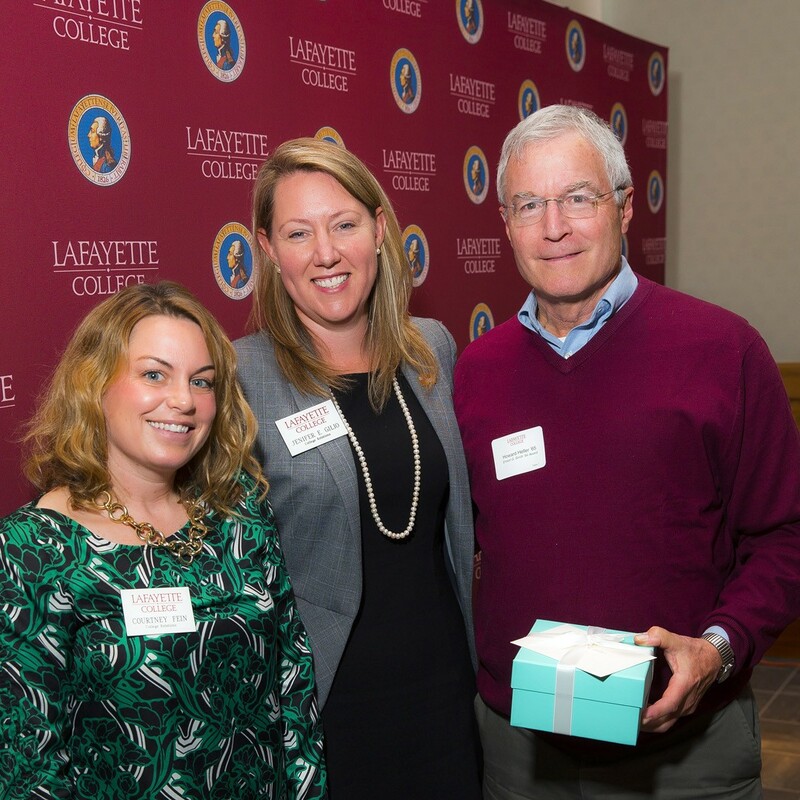 Robert Goldstein ’80 accepted the Losee ’94 Award from Courtney Fein, assistant director of the Annual Fund, and Jenifer Gilio, associate vice president for development. 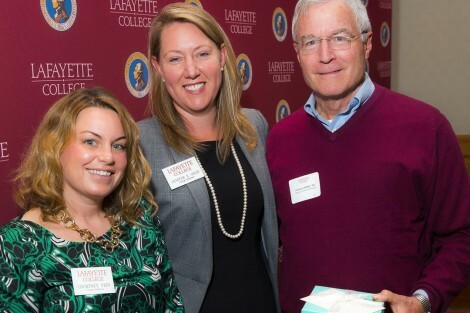 Courtney Fein, assistant director of the Annual Fund, and Jenifer Gilio, associate vice president for development, present the Ernest G. Smith ’94 Award to Howard Heller ’65. James Quin ’66 accepted the Lafayette College Fund Award. Janine Casey, associate director if Alumni Relations, and Rachel Moeller, executive director of Alumni Relations, present the Student Volunteer Service Award to Jia Li Shi ’16. 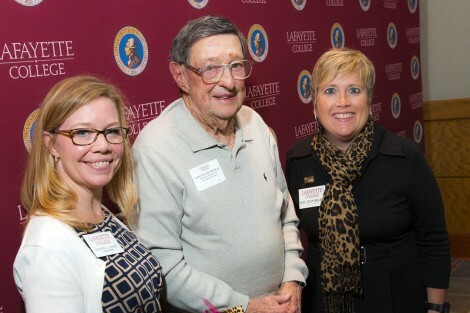 Janine Casey, associate director if Alumni Relations, and Rachel Moeller, executive director of Alumni Relations, present the Wildstein Correspondent Award to Leon Fox ’53. 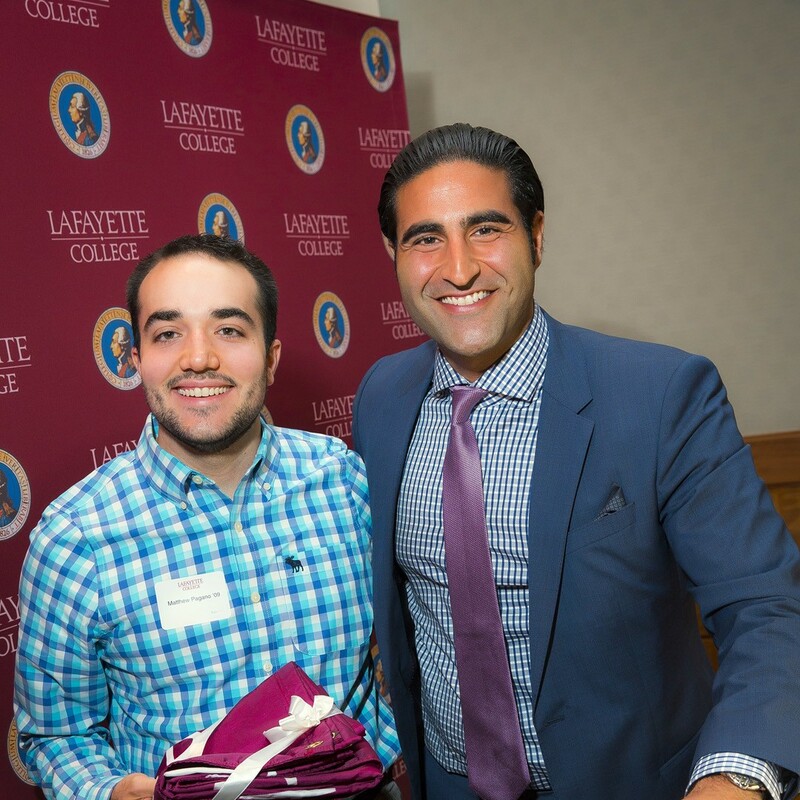 Alex Karapetian, '04, president of the Alumni Association, gives Matthew Pagano ’09 the Chapter of the Year Award for New York City. 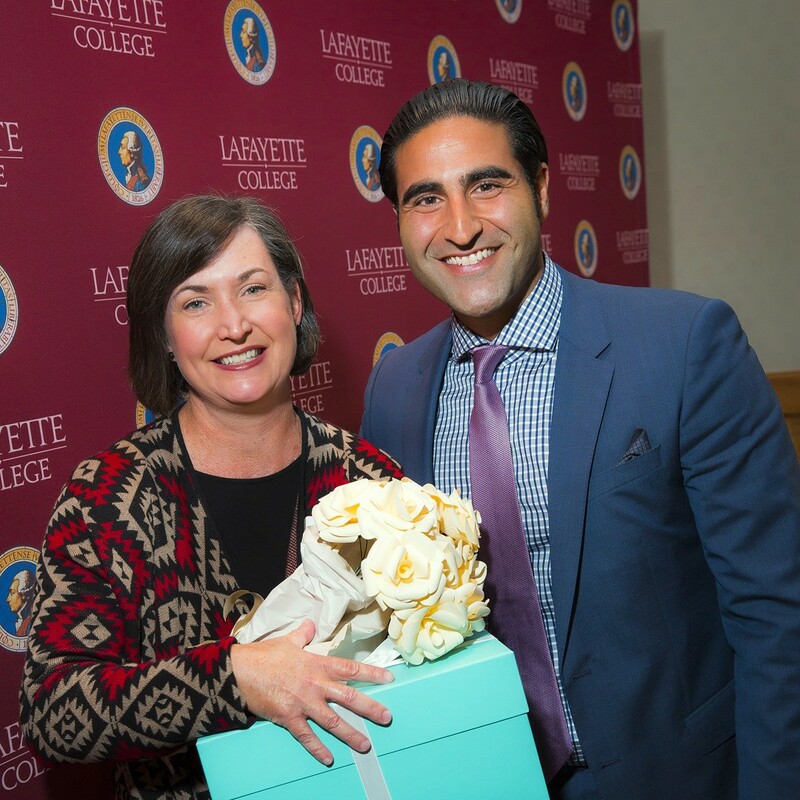 Elaine Stomber ’89 accepts the Golden ’34 Faculty Service Award from Alex Karapetian, '04, president of the Alumni Association. 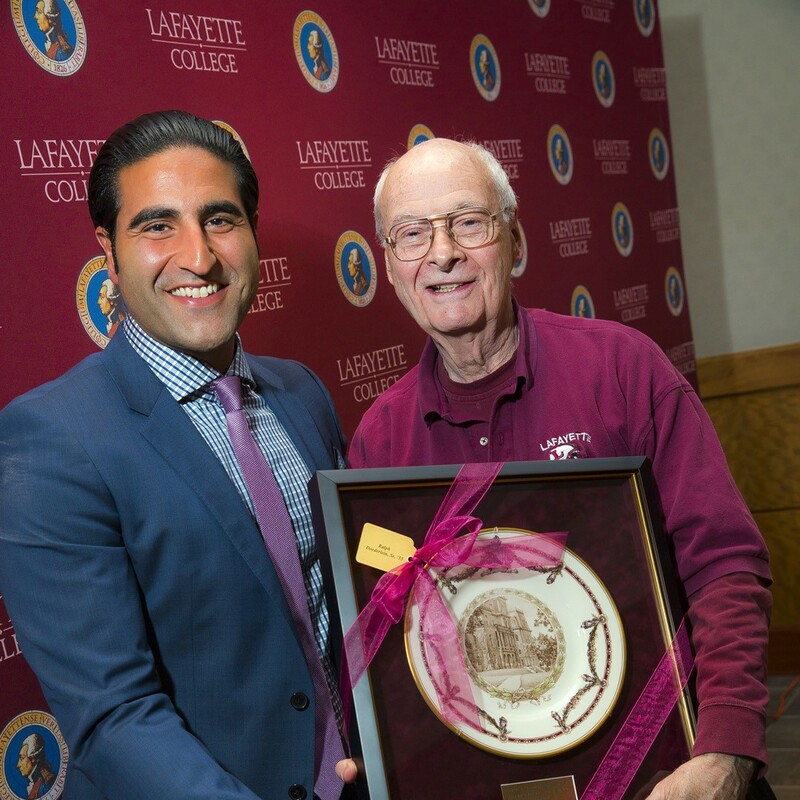 Alex Karapetian, '04, president of the Alumni Association, gives the Woodring Service Award to Ralph Doederlein ’55. 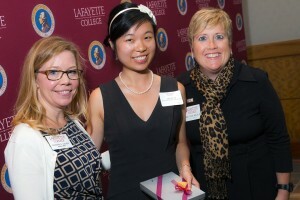 Presented to an alumna or alumnus who has earned distinction in their career without regard to service to the College. 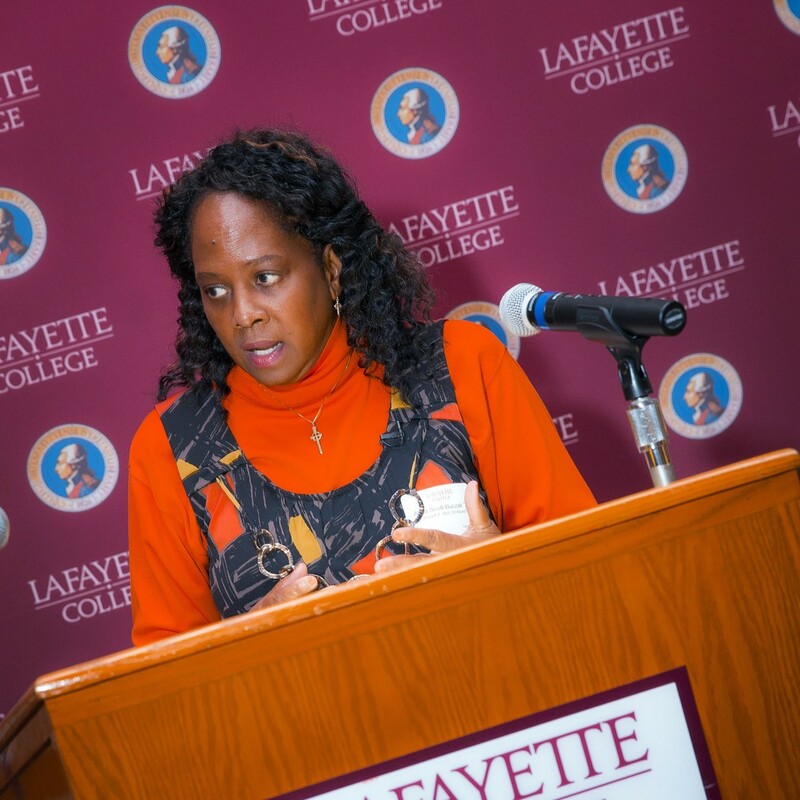 Named for Lafayette’s first graduate, George Washington Kidd, Class of 1836. 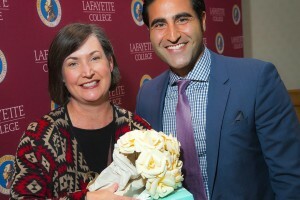 Presented to an alumna or alumnus who has given distinguished service to the College or the association. Upon his retirement in 1968 as alumni secretary, the award was named for Joseph E. Bell ’28. Presented to a member or members of one of the 15 latest classes in recognition of outstanding service to the College or association. Named for Clifton P. Mayfield, Class of 1909. 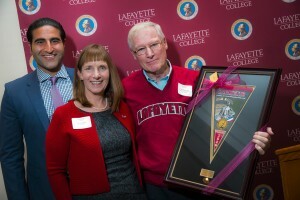 Recognizes the achievements of a long-term Alumni Association volunteer whose service is both dedicated and effective. Named for George T. Woodring ’19. 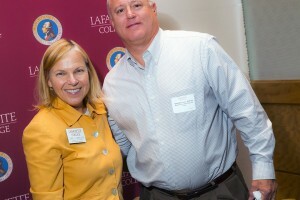 Recognizes an Alumni Association volunteer for outstanding leadership during the previous year. 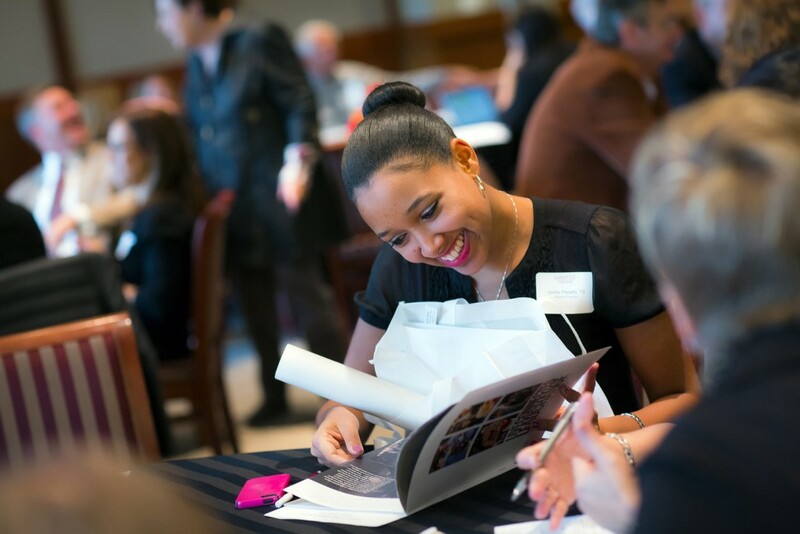 Jiselle Peralta ’13, of the Alumni Council, browses through the Live Connected/Lead Change campaign brochure. Recognizes a currently active alumni chapter officer based on voluntary service achievements “over and above” his or her faithfully carrying out of regular officer assignments. It honors the memory of William E. Greenip ’44, former Alumni Association Secretary. 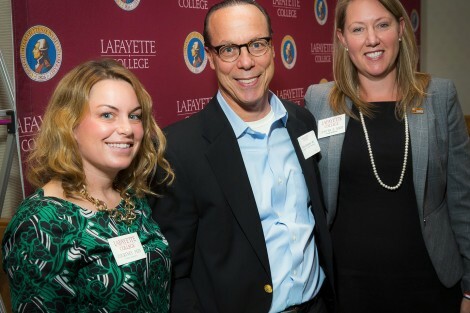 Recognizes an alumni chapter for providing quality and diverse events while cultivating the chapter’s leadership and promoting area alumni participation. 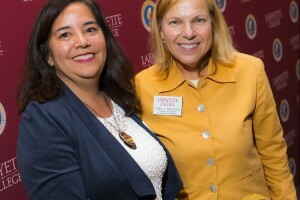 Recognizes an individual that exudes leadership in the planning and execution of chapter events. He or she echoes a chapter’s commitment to promote a diverse array of events for alumni, parents, and friends of the College. 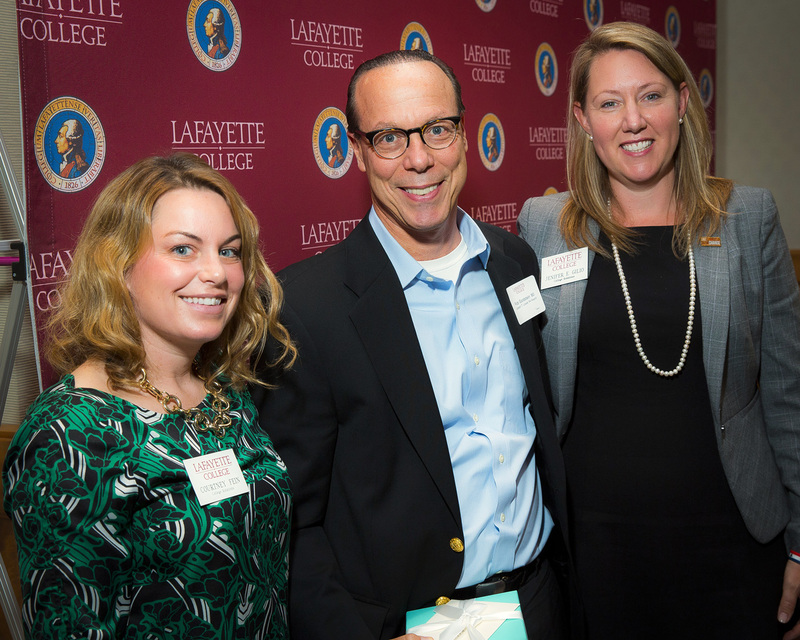 Recognizes an individual who continually strives to promote alumni activity and interaction within his or her respective chapter. 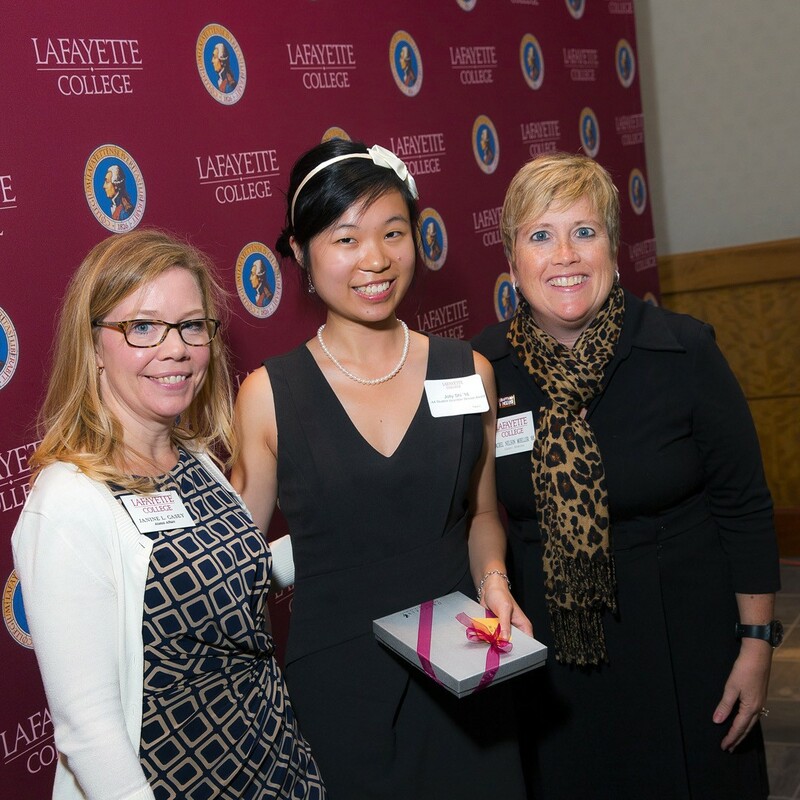 Recognizes an effective writer who exercises class leadership through the column, and unifies classmates in support of the College. Named for Wilson E. Hughes ’38. 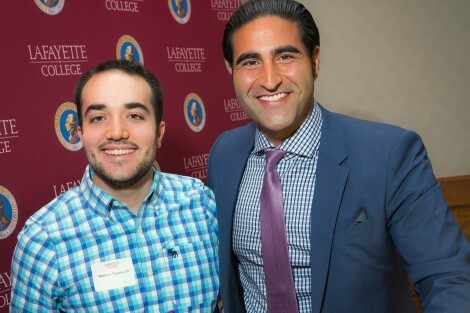 Recognizes a correspondent who actively seeks out and includes in the column many classmates from diverse regions and walks of life. Named for Elmer E. Huhn ’24. Recognizes a long-time correspondent who is faithful and prompt in submitting positive, upbeat columns. 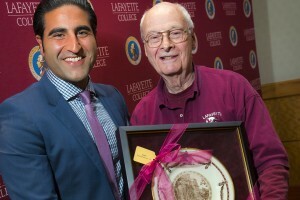 Named for Bernard S. Wildstein ’35. 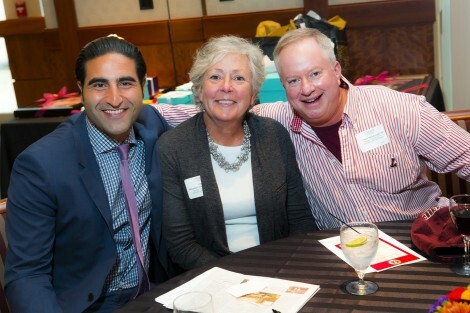 Recognizes a current student who, through his or her volunteer efforts in the broader community beyond the College, has demonstrated compassion, energy, and ingenuity in serving others. 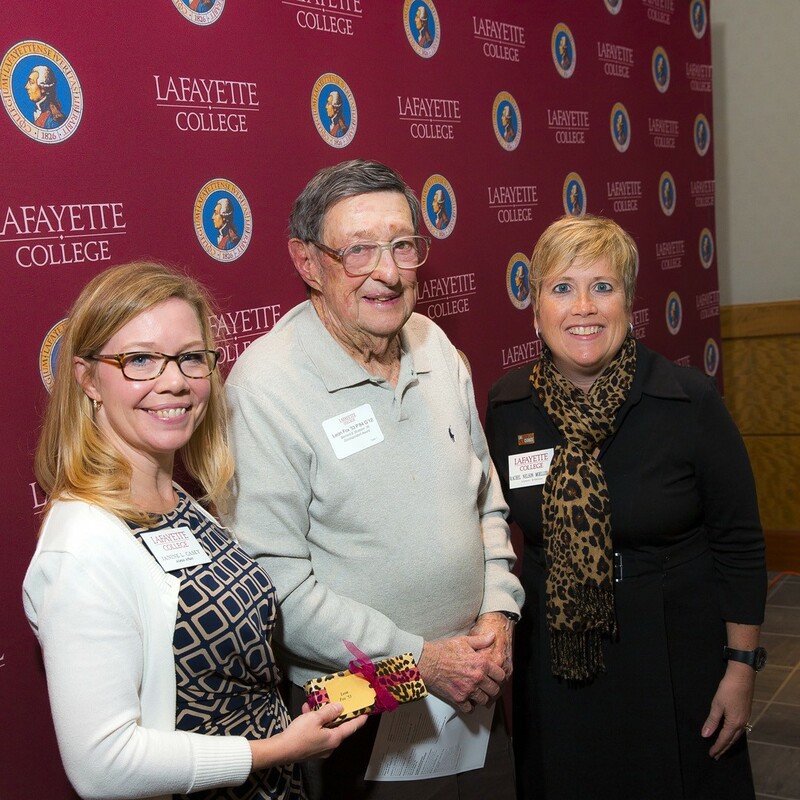 Recognizes faculty members for distinguished volunteer service to Lafayette through the Alumni Association and its organized alumni activities. 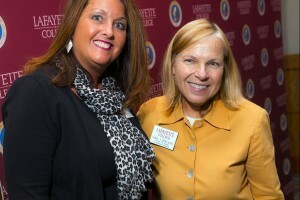 Recognizes an individual for distinguished service to Career Services. 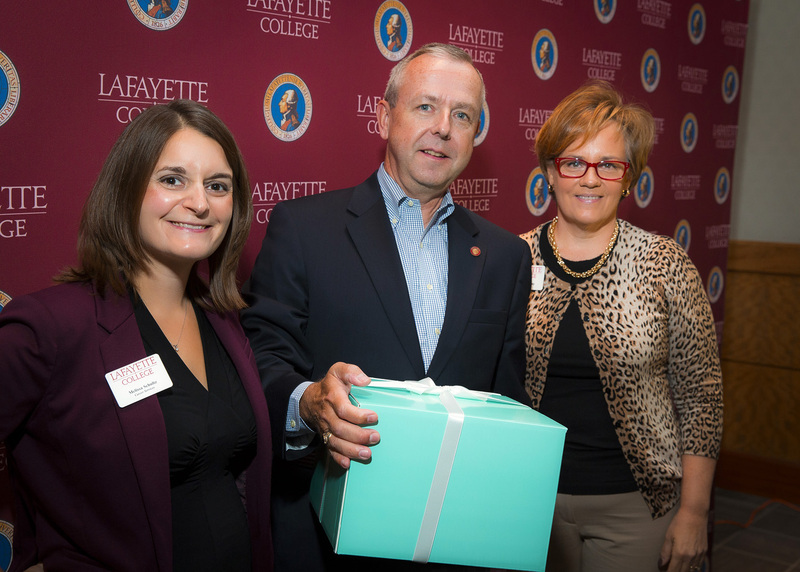 Recognizes externship hosts with 10 years of participation. 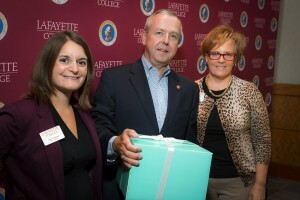 Presented to the reunion year class achieving the highest Lafayette College Fund total. Honors the non-reunion class achieving the highest Lafayette College Fund total. For the 50-Plus Club class with the highest rate of participation. 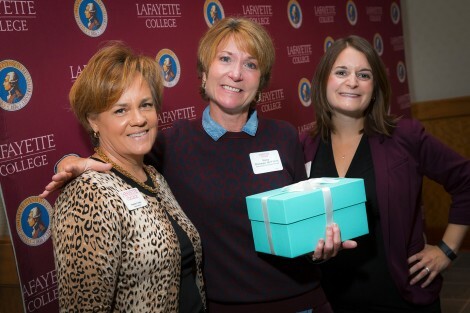 Honors the class achieving the highest percentage of participation from the 11th through the 50th alumni class. For the young alumni class achieving the highest percentage of participation. 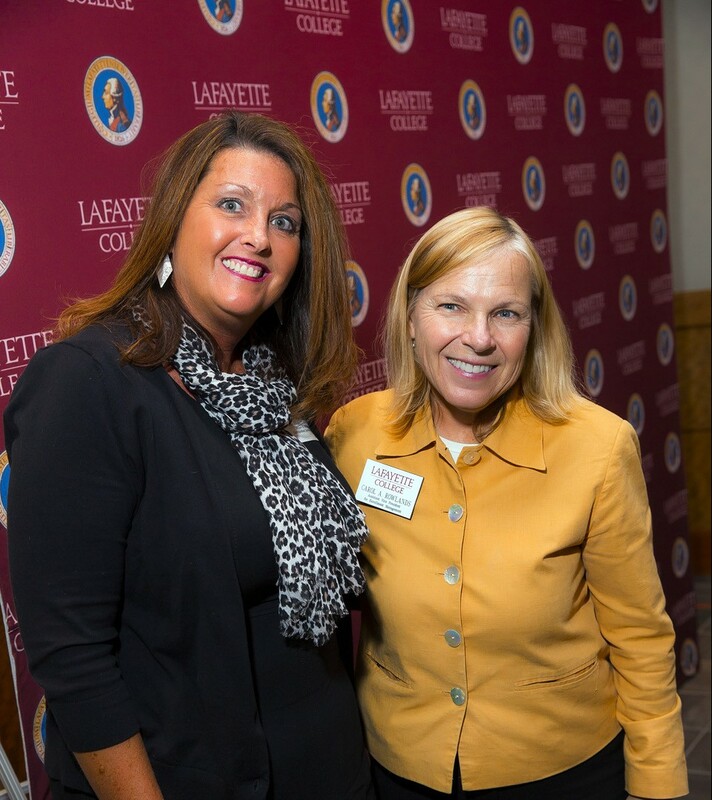 Recognizes a first-year AAR who has, during that initial period, served the College with extraordinary enthusiasm, commitment, and skill. 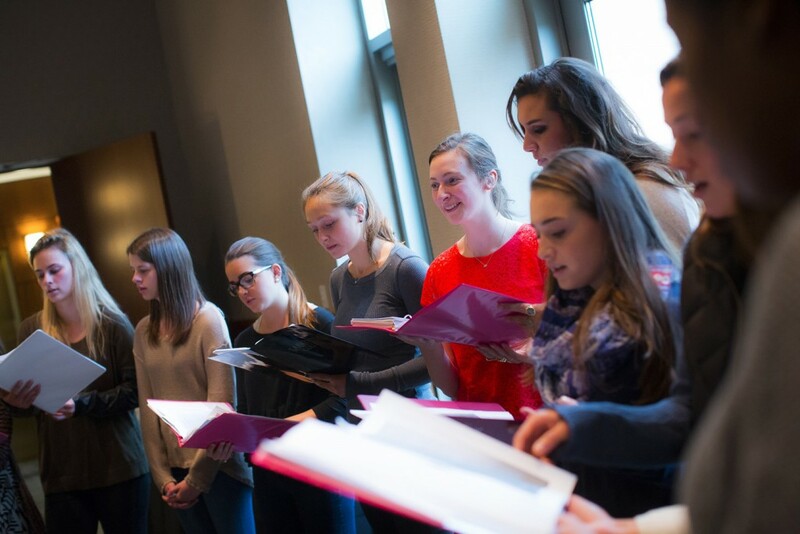 Cadence a cappella group performs for alumni and friends. Recognizes an individual who, during the past year, has represented the College through the AAR program with outstanding dedication, reliability, and sensitivity. He or she has creatively and effectively introduced the “Spirit of Lafayette” to prospective students, their parents, and others interested in the College. 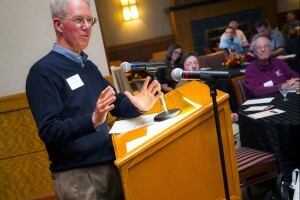 Named after Barry McCarty, former dean of enrollment services. 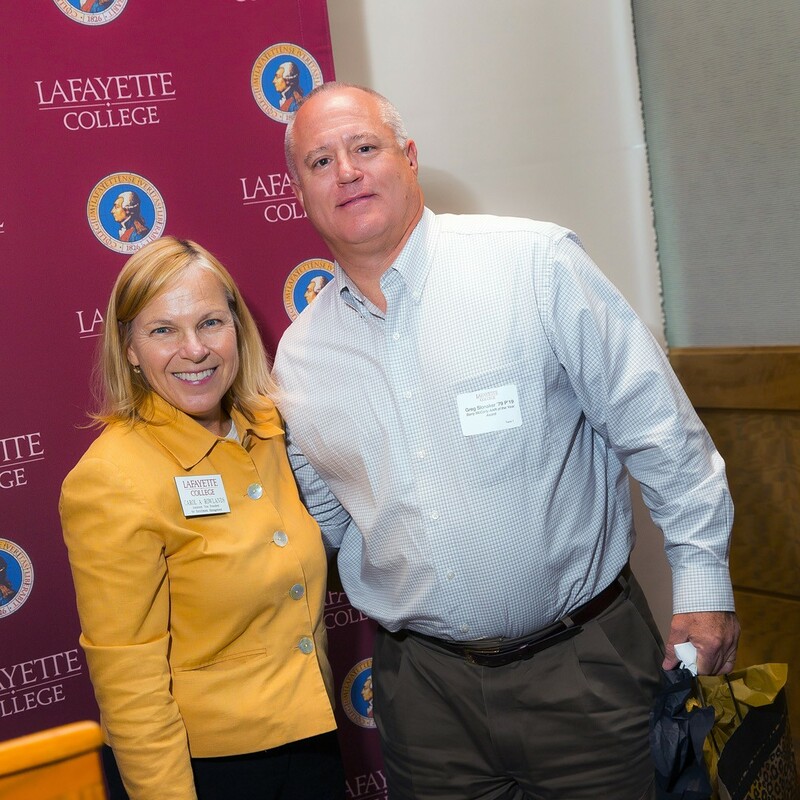 Recognizes an AAR whose dedication and effectiveness during a period of a year or more has significantly improved Lafayette’s image and student-recruitment potential in an area outside the College’s traditional tri-state area. This is the highest honor that can be bestowed for service to Lafayette through the AAR program. The recipient will have served with sustained distinction, effectively performing all expected duties during a period of several years or more. In addition, he or she will have demonstrated initiative and creativity, and will have inspired others through leadership and example.